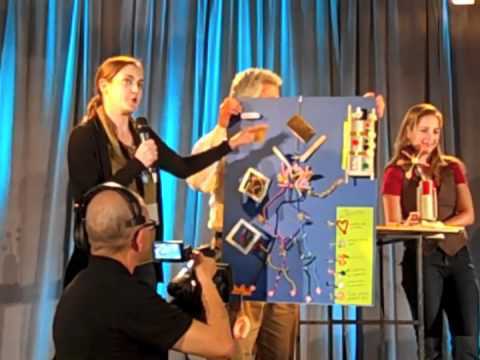 This compilation from Big Ideas fest 2011 show the collaborative design thinking process we went through to conceive our idea, prototype and present it. This project has been funded through the generosity of a 50k matching grant from the Gates Foundation. The goal of the project is to assess and encourage the progress of soft skills such as creativity, collaborate, citizenship, communication, problem solving through peer to peer recognition. The overall goal is to better the world of education.